"I would say the class is the ONE thing I'm doing besides run training that is really keeping everything strong and therefore uninjured. I'm seeing track times I haven't seen in quite a while. " - K.M. All of our classes are exclusively designed by renowned Physical Therapists, Dr. Heather North and Dr. Michael Morrison, both Doctors of Physical Therapy at RedHammer Rehab and Revolution Running coaches. Exercises are specifically designed to keep you healthy and strong year round. Even if you aren't a member of Revolution Running, come and enjoy an hour of muscle burning fun. Great care is taken to focus on the muscles that endurance athletes need to stay injury free and to maintain speed and strength. In addition, every class is created to protect your back, preserve proper alignment, and maintain body mechanics. Other classes are created by individuals with little to no educational background on biomechanics, anatomy, and injury prevention, so why trust your body and your athletic health to anyone else? As athletes we rely heavily on our core muscles for strength, speed, and stability. However if these muscles are weak (and they usually are), surrounding joints, connective tissue, and muscles will become more heavily under strain. This class is here to focus on these major muscles. Ankle Weight: Two 2#-5# weight with velcro. 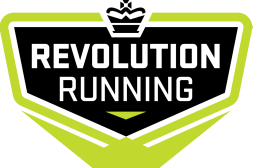 Dr. North has been in practice for since 2008 as a Doctor of Physical Therapy and has been creating these classes specifically for Revolution Running for since 2011. She is a runner, mountain biker, swimmer, and skier who takes pride in creating an amazing class experience. extensive experience treating runners of all abilities. He is partnered with Heather North at Red Hammer Rehab. Together with his wife Jennifer and daughter Scout, Michael resides in Longmont.